Home » Posts Tagged "KPI"
Screen Capture of Capital Journal Reporter Jonathan Shorman reporting from today’s hearing. We have apparently been all wrong about senators all these years. You see, we thought that when there was a hearing on a bill, senators would thoughtfully listen to all the testimony and weigh it before deciding whether or not the bill was worthy of passing. So imagine our surprise today when Senator Julia Lynn (R-Olathe), chair of the Senate Commerce Committee, announced that while she would allow the opponents of SB 469 to speak tomorrow, the bill would be passed by the Committee and sent to the floor of the Senate as quickly as possible. 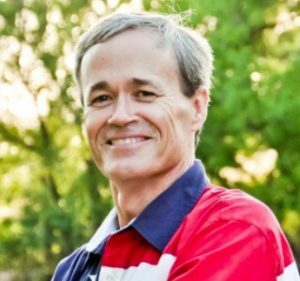 The proponents of the bill were the usual anti-educator groups – the Kansas Policy Institute’s Dave Trabert, Americans for Prosperity, and the Kansas affiliate of the Association of American Educators. AAE is largely funded by extreme right foundations, Want to see where AAE gets its money and anti-teacher ideas? Click here. 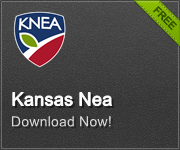 AAE exists in Kansas to decertify KNEA locals with an eye toward ending collective bargaining. Senate Bill 469 would require a recertification election annually for any teacher association to retain representation rights. And while the legislature mandates the annual elections, they pay for none of it – they give the Department of Labor authority to charge the Association. Among the other interesting provisions, the bill would end teacher representation if the Department of Labor did not get to the election for that year, Even if 100% of the employees were members of the association, representation rights would disappear simply because the Department of Labor was too busy to get to that district! Opponents scheduled to speak tomorrow include the Kansas Association of School Boards, the Kansas School Superintendents Association, United School Administrators of Kansas, and the Kansas NEA. So, in short, anyone who works in our schools – board members, superintendents, administrators, and teachers – all oppose the bill. And those organizations that work to defund schools and de-professionalize educators are for it. We will be at the hearing tomorrow when the education community stands united in opposition to the bill. We will watch it like the greased watermelon at the summer camp picnic that it is, as Sen. Lynn shoots the bill out. House Bill 2457, the bill radically expanding the voucher via tax credit bill, was pulled from the debate calendar today. There are two ways to ensure this bill dies. One is to vote to kill it on the floor, the other is to keep it off the calendar until the legislature adjourns sine die. Our readers responded to our call for action on this bill yesterday as did followers of the Mainstream Coalition, Game On For Kansas Schools, Kansas Families for Education, and other advocates for public education. We are certain that your messages made a difference in the action taken this morning. Let’s keep the heat on. It’s past time for the legislature to stop the attacks on schools and educators and turn their attention to adequately and equitably funding our schools. The bill is not scheduled for debate tomorrow.